Since the moment we heard of the catastrophic earthquake that hit Haiti on January 12, our hearts have been with you. It is truly heartbreaking to learn of the widespread destruction, huge loss of life, suffering and pain caused, and the desperate shortage of food and basic supplies faced by millions of people. Despite this terrible ordeal, we want you to know that you are not alone. We all live on planet earth, and that makes us all brothers and sisters. Love, is what we have in common; love, is also what brings us together. 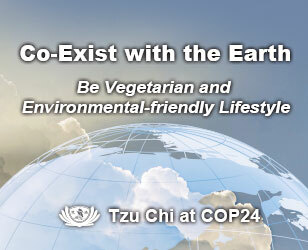 Tzu Chi is a non-governmental humanitarian organization based in Taiwan, carrying out missions of charity, medicine, education, and humanitarian culture in 47 countries around the world, with Great Love transcending all borders, nationality, race, and religion. 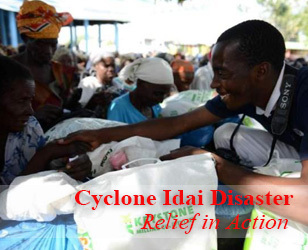 Since 1998, Tzu Chi has carried out many relief missions in Haiti, the latest being in 2009, with volunteers from the United States, Dominican Republic and St Maarten, joining efforts with local Haitian volunteers, to distribute food, plastic sheets, blankets and other supplies to more than 3,000 families. At this critical time, Tzu Chi has readied relief supplies including food (ready-to-eat instant rice, corn-powder) and blankets, to be brought to you as soon as the logistics difficulties are resolved, and other conditions permit. Although there are many challenges, please be assured that we are doing our very best to overcome them, so that the supplies can reach you in the shortest possible time. Tzu Chi volunteers have worked tirelessly since the earthquake occurred, asking for nothing in return, only hoping to deliver Tzu Chi people’s love and care to you, from which you can find comfort and strength to return to your feet. Currently, there are thousands of volunteers in 29 countries around the world standing in the streets, either in chilling wind and heavy snow, or under scorching sun, all soliciting donations and more importantly, inspiring people’s love, compassion and blessings for people of Haiti. 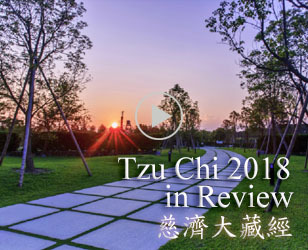 Please know that Tzu Chi people from all over the world are praying for you, and hereby extend their warmest and most sincere support and encouragement to you. We will be at your side every step of the way on this long road to recovery. We deeply believe that in this difficult time, as long as everyone can put aside any differences, have a kind and peaceful mind, hand in hand, heart to heart, help one another and rebuild our homes, the future of Haiti will surely be a bright and promising one!